Ten Fabulous Years of YLF! I cannot believe that YLF is ten years old today. TEN YEARS OLD. Wow. Our first post went live on April 5th 2006 and we never looked back. Time flies when you’re having fun. Those who have been here since the very beginning will remember the Lisa Henderling illustration of me with Jasmine and Rosie that Greg used in the background of YLF’s first design. Later updated when I switched from a bob to short hair. My voice is dominant on YLF because I write most of the posts and I’m very active on our highly engaged forum. But YLF would not exist if it weren’t for my husband, Greg. He suggested that I start a blog (when I didn’t even know what a blog was!). He created the site as his labour of love to me while working full time at Microsoft, and has continued redesigning and improving it over the last ten years even as he juggled all sorts of other work projects. He is the designer, programmer and technical support team. He’s also YLF’s marketing manager, strategist, photographer and accountant. Greg is the behind the scenes YLF genius who deserves a lot more credit than he gets because he’s awfully humble and modest. If I’m the heart of YLF, Greg is definitely the blood and oxygen that runs through it. I cannot thank him enough for his unconditional dedication, positive attitude, tenacity, and ongoing belief in me. Working on YLF with my best friend and soulmate has made all the difference. I would not and could not have done this without Greg. As I look back over YLF’s ten years, there are countless memorable moments. It’s impossible to list them all, but I’m going to take you down memory lane nonetheless. When we started YLF I decided to post at least once every non-holiday weekday. Despite technical adversity, travelling across continents, illness, house guests, and heavy workloads, we haven’t missed a day in ten years! Our community has exceeded all of my expectations. When we launched the forum 8 years ago I didn’t imagine that it would grow into the wonderful, bustling community it is today. 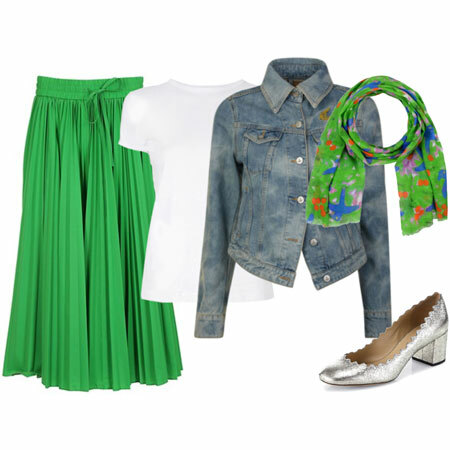 With YLF my goal was to help you become your own fashion stylist. So I find it enormously rewarding when people tell me how YLF’s content and community has helped them to solve their fashion and style challenges, and most importantly, that they are having fun on their style journey. I feel that I’m making a difference in the world. I was reluctant to show myself on YLF because I felt it should be about you, not me. 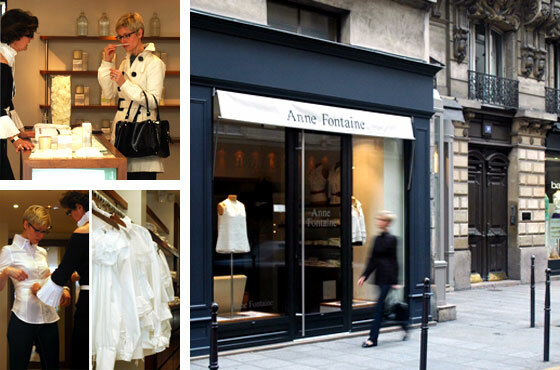 But after two years and two months we decided to include some glimpses of me in a post about my visit to Anne Fontaine in Paris. Then a few days later another glimpse when I was watching street style, and by the end of our trip all inhibitions were a thing of the past. At the end of 2009, a group of forum members clubbed together to gift me with a Valentino handbag and presented it to me at a gathering in Seattle. This gesture was my most meaningful and memorable YLF moment. It’s the type of thing that happens once in a lifetime, and I am still overwhelmed by emotion when thinking about it. Words cannot express the gratitude for this level of thoughtfulness and generosity. To me, this gift represents the love and kindness of the entire YLF community. I shall cherish my exquisite Valentino handbag for the rest of my life, and proudly carry it with your affectionate sentiments engraved deeply into my heart. Our Yorkshire terriers Jasmine and Rosie were a very meaningful and important part of the YLF team. They kept us company when we spent hours at our computers. They also often stole the show when we took outfit photos. Our saddest moments were the days we lost Jasmine in 2011 and Rosie in 2013. They are imprinted on our hearts forever, and words cannot adequately describe how much we love and miss them. Little Sam continues their legacy. My favourite YLF photo of all time is one where little Jasmine photo bombed my outfit. I didn’t know she was behind me, but Greg snapped the shot at the perfect moment. She was looking directly at the camera like the beautiful little blog star that she was. Each Mother’s day, I dedicate a post to my late Mother who is and will always be my most important and stylish inspiration. Mama inspired me to take an interest in personal style and encouraged me to pursue a career in fashion. She died 16 years ago and never saw YLF, but she would have loved it. Every time I mention Mama in my posts it is with great emotion, and a simultaneously heavy and happy heart. Our first New York Fashion Week experience was in 2010, and it was by far the most enjoyable. Greg and I had the very best fashion adventure together in frozen NYC. I couldn’t believe that we had made it to NYFW, and I was walking on clouds all week. In 2011, on YLF’s fifth birthday, an extremely thoughtful forum member called Ornella put together this incredible video. I was absolutely blown away and felt so, so, humbled and honoured. I smile, laugh and cry each time I see that video because I can feel the affection from those members over and over again. Priceless. In 2011, the Seattle Times did a fun feature on YLF. It featured YLF at a gathering, me working with a client, as well as a few of my own outfits. It’s been YLF’s most prominent media exposure and made me feel quite proud. Every photograph on YLF is taken, processed and published with an extreme amount of care and attention to detail by our creative and meticulous photographer, Greg. This makes every photo a memorable moment. Here’s one that Fabber Kari took on the sly of Greg in action. It’s GREAT to see him on the other side of the camera for a change. You can also see some of his non-YLF photography on Exposure. Meeting and befriending Inge is one of my big YLF highlights. She contacted me privately eight years ago, soon after we launched our forum. She very politely asked if she was allowed to join since she wasn’t American and lived in Belgium. “Well I’m not American either!”, I said. “And of course, I would be delighted if you joined our community.” It was her love for pearls that brought her to YLF and we had an instant connection over this and many other things. We became close friends, meeting in person for the first time in 2010 when Greg and I were in Europe. We got on like a house on fire and Inge eventually became part of the YLF team. In 2014 she came to Seattle and spent a month with us, which was absolutely magical. We had SO MUCH FUN together, and I long for us to be able to do that again. The cherry on top was an epic Seattle gathering we had in her honour. It was unforgettable. Ten years of YLF and 9 April Fool’s Day posts later. We got you many times! Greg and I had a blast brainstorming the ideas and I think that comes through in the posts. 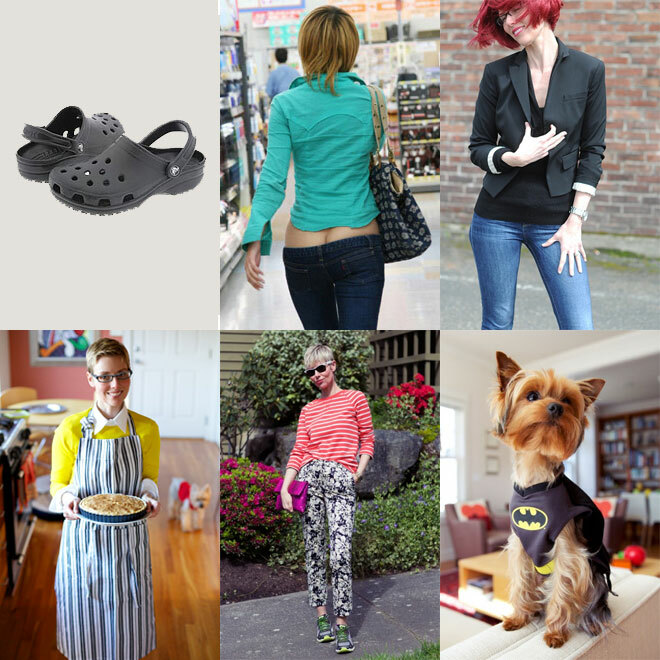 From crocs for business formal, the bottom cleavage trend, a racy pin-up calendar of YLF readers, and my style epiphany, to a food blog makeover, some (ahem) practical fab finds, a random outfit generator and the super suit. They were fun to make, and judging by the responses, fun to read too. In 2014 we launched the Finds feature, which has been a revelation for us. 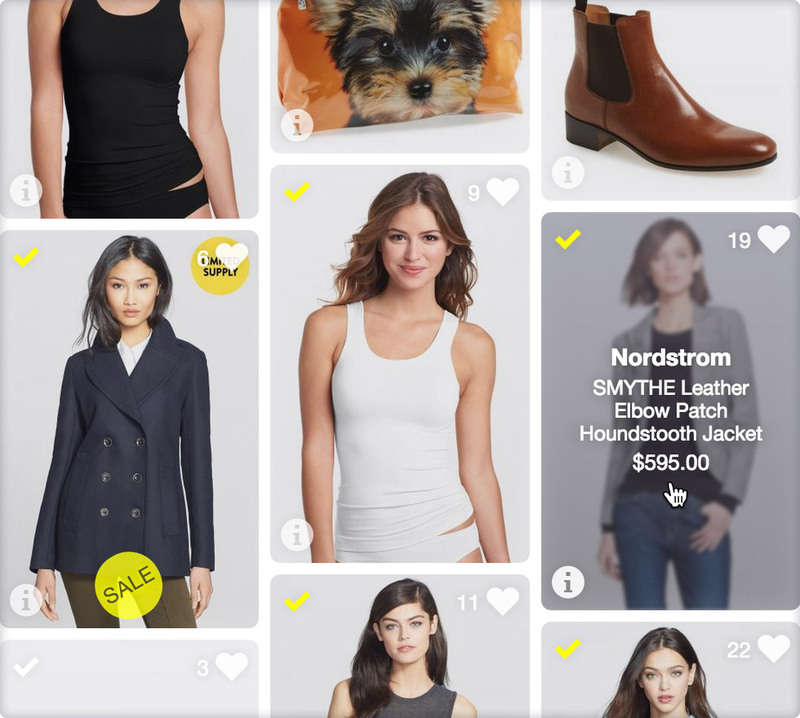 The ability to collect items you like from online retailers, arrange them into a shopping list, AND organize your entire wardrobe online — is my very favourite YLF feature. I thank Greg in my head daily for building this incredible organizational tool. There have been many, many YLF gatherings around the globe and each of them is special in its own way. I’ve been to the ones in Seattle, New York, Boston, Chicago, Pasadena, Santa Monica, Brussels, Antwerp, Hong Kong, Amsterdam and London, and would go to another in a heartbeat. One of the gatherings in Boston coincidentally took place on YLF’s eighth birthday in 2014 and it was sublime. The spirit of the group was exceptional and we had an absolute ball. And on top of it all, the group (and Fabber Isabel especially) organized a celebratory lunch. She knew how much our Yorkies Jasmine and Rosie meant to us, and included their names on the cake. It was a touching moment that I will remember forever. Last but not least, YOU are what makes YLF exceptional. You graciously share your wit and wisdom in blog comments and forum posts. Your thoughtful, compassionate, intelligent and insightful contributions enrich my life, make me grow as a person, and provide me with daily inspiration. It blows me away when I think that some of you have been participating on YLF since its inception on 5 April 2006. From the bottom of my heart THANK YOU for ten years of support, and for helping me to spread the word that you can have fun with fashion at any age. What a lovely write up! I want to thank Greg and you for creating my favourite blog ever! I have been reading YLF almost daily since 2009, even if I haven’t commented much, and remember many og the moments shared here. I also want to thank Greg especially for creating a site that is not only easy to navigate and esthetically appealing, but also *extremely* reliable. Actually, if I can’t load a site a and wonder if it’s because of the site or because of my connection, YLF is one of my “Control sites”: if I can’t load YLF, I know my connection doesn’t work! This is a beautiful post and possibly my favorite of 2016. I wasn’t here at the beginning, but I wish I was. The journey must have been amazing for all those that were blessed with the opportunity to participate. I am lucky to have found YLF. May it only improve with age. Thanks Angie, this is a lovely lovely post. I enjoyed the video a lot, it was super fun checking out the faces I knew. What a wonderful journey for Greg and yourself, and your Yorkie family. Thank you so much for providing such a fantastic site and community – I love it here. Congratulations, 10 years of YLF is a huge achievement. Angie your discipline to write fresh and interesting articles every day is as amazing as Greg’s IT and photography skills and Inge’s amazing contribution through her posts. The Yorkie’s are delightful and I hope that Sam continues to photo bomb at every opportunity. I hardly know where to start, Angie, but congratulations to both you and Greg on ten wonderful years of YLF. You certainly make a creative, talented, hard-working and generous team, together, of course, with lovely Inge. Thank you so much for providing such an invaluable – and very addictive – site. Here’s to many more fabulous, stylish years. 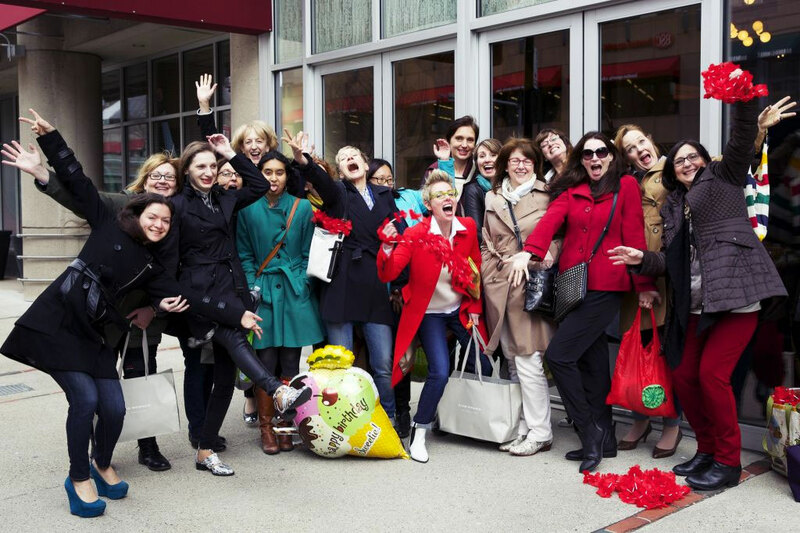 I’ve been fortunate to be a part of some wonderful meetups (Boston being tops for me). It’s so great to see so many familiar faces (missing Rae and Jonesy just to name 2!) and new ones each time I check the forum. The modern 10th anniversary gift is Diamond jewelry. Diamonds go nicely with pearls don’t you think? Here’s to 10 more fab years! Love you guys – Cheers to you Angie, Greg, Inge and Sam! Congratulations Angie, Greg, Inge & Sam! I read every word of this post carefully and then re-read it. I felt your joy, pride, surprise, pain and love….and in the end, I only wished the post didn’t have to end. Beautifully written, beautifully presented….this makes me feel so proud of the fact that I’m a part of the YLF community. You’ve had a beautiful journey with YLF, Angie. May you have many more! Cheers to another decade of YLF fabulousness!!!! What a lovely tribute to YLF, it’s post like this that make me appreciate this blog and forum even more…. Congratulations Greg and Angie on your spectacular achievement. And thanks Inge and all the of the forum members for making YLF as welcoming as it is fashionable. And HAPPY 10TH BIRTHDAY, YLF!!! This entire post makes my heart burst with joy. And I feel quite emotional too, thinking back to all these happy, funny, wonderful and touching moments and occasions (and sadly the passing away of darling Rosie and Jasmine). I have said it many times before, but still mean it as much as I did the first time: YLF is without a doubt the most special, unique and caring website and community on the entire internet. And that is all thanks to you and Greg, Angie. Only two people as special, talented, generous, emotionally intelligent, warm, and kind-hearted could create such a welcoming and happy place. And I consider it my online Home, with a capital H.
I thoroughly enjoyed looking at all these familiar photos again too (Greg, you are a genius!). They are beautiful proof of just how much you and Greg have accomplished and of all the fun you've had together along the way; as a couple, with Rosie, Jasmine and Sam, and every single one of our beautiful Fabbers. They don't show all the hard behind-the-scenes work, but please know that we tremendously appreciate that as well. Angie and Greg, thank you for creating YLF, and for being absolutely wonderful human beings. You ARE making a difference in the world!! Have a great day celebrating, and here's to many, many more years!!! Congratulations, Angie and Greg. YLF is truly a special place- a wealth of information, but also such a warm and welcoming community. Thank you both, and Inge, Rosie, Jasmine and Sam. Congratulations and many happy returns, Angie, Greg and YLF! Sincerity, honesty and a genuine love of what you do shines through this post.Congratulations on your milestone. Come to New Zealand for a visit! Happy birthday, YLF! You’re in the double digits now! YLF is my home online. And we all know how much time we spend online these days! 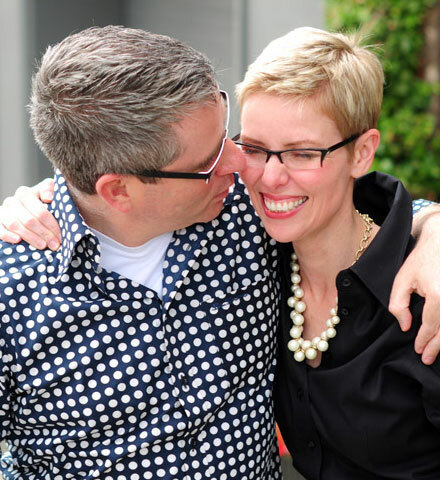 It’s a testament to Angie’s loving and wonderfully effervescent self that she and Greg and YLF have become much, much more than an online home to me and my family. From Greg’s parents taking our son’s stuffed animal to South Africa and sending home postcards to his 5th grade class, to sharing laughs with Angie’s dear Dad at a memorable Seattle dinner, and our epic outings of marathon shopping and dining, Angie, Greg and their family have become part of our lives in a very meaningful way. My most crowning YLF glory is the time I found Angie a dress at Bloomie’s in NYC. Nothing made me happier than to pick something for Angie (instead of the other way around) and naturally she wore that dress SO well. And – Miss Valentino! If she gave you one iota of the happiness you give us, then The Gift was a success. Angie, I can’t imagine the past decade without you, Greg and YLF. You are a shining star and a real-life superhero in a tweed power suit. You manage to do it all, from writing blog posts no matter what is going on in your life (I’m not sure that I can even comprehend the discipline it’s taken to write a blog post daily for 10 years) to embracing and being the biggest cheerleader for your friends, family and husband, and to sharing your amazing gift of style with your clients and YLF members. You are my creative sister! If anyone has seen Angie in action working with clients or YLF members, you know what I mean when I say she has a gift. The fact that you figured out how to share that gift with the world while creating a warm and welcoming global community is nothing short of spectacular. I wish for Angie, Greg and the YLF community many more years of being the most fab place online. LOVE YOU! Congratulations and thanks to you and Greg. Though I haven’t been around since the beginning, you’ve become a daily check-in for me. Sincere and heartfelt congratulations! YLF has definitely made a positive difference in my life and for that I cannot thank all of you enough. Greg deserves much praise for his many talents. He is clearly the backbone of this wonderful blog. Inge deserves much credit for her wonderful blog posts and forum contributions – I am always impressed that she can locate so many items so quickly when people are in need, and I love the diverse blogs she finds finds. Angie, I am particularly touched by your heartfelt words about your mother. I am certain she would be proud of you. I love the sentimental picture of the two of you dressed alike. 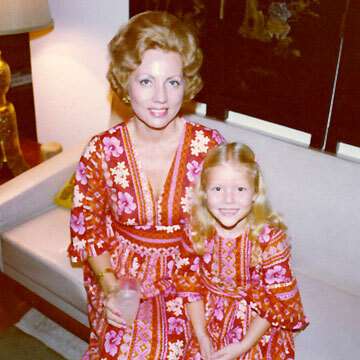 It made me think of my own mother and how she used to sew identical mother daughter outfits for us. Clearly, you set the tone for the blog and forum. Angie, you have created an amazing forum. It’s filled with kind, helpful people. I can only say that it’s no surprise you have seen success. You clearly work hard, and it shows. I think you have met your stated goals, and I I wish you all the best for continued success in the future. Happy Birthday, Angie, Greg and Inge! Your recap is a beautiful read for those of us who haven’t been here since day one–indeed, one of YLF’s many draws is making latecomers like me feel like we *have* been here all along. It’s part of the magic you create that makes your community so wonderful. This statement in your post sums up another reason for YLF’s success: “Despite technical adversity, travelling across continents, illness, house guests, and heavy workloads, we haven’t missed a day in ten years!” Yes, you guys give us artistry, inspiration and practical advice, but you also work *extremely* hard. Thank you. I’d also like to give an appreciative cheer to all the the long-term mmbers who weigh in on our posts with the wisdom gained from years on YLF. Cheers to your next decade! A big hug to Inge, who is such a lovely person. 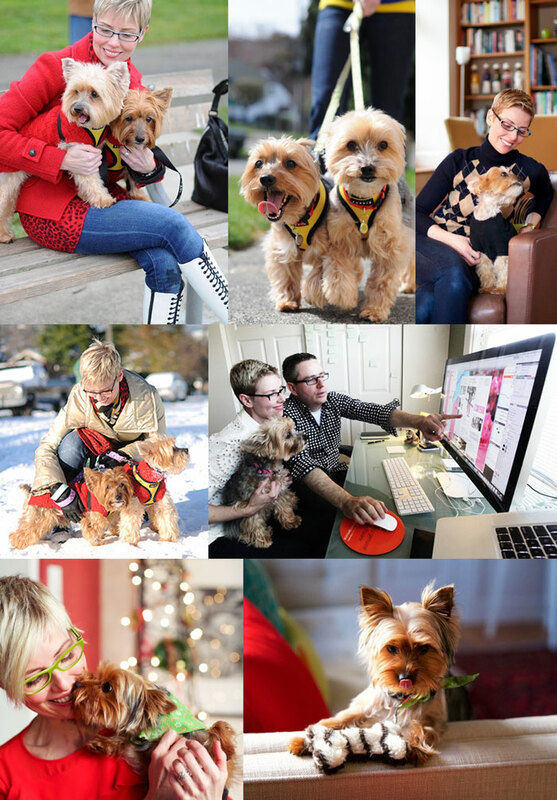 Welcome to Sam, it’s so fun to have a new yorkie blog star. And you know how much I admire you, Angie. Congratulations to all for your success, I’m so glad to read you’re having fun and it’s not all hard work. Enjoyed reading this post so much. I am so proud to be part of such a wonderful supportive community. Congratulations on the first ten years and I’m looking forward to the next ten! Congratulations, Angie and Greg on this milestone birthday! Thanks for all of your hard work, dedication, and commitment to running this positive and welcoming style space. Wishing you all the best, and looking forward to celebrating more milestones with you. Wow, such a great post and many Happy Returns of The Day Angie, Greg and Inge! I found The Best Blog Ever somewhere between 2007 and 2008…but I only remembered the second Lisa Henderling illustration (with the short hair) so I was very surprised to learn there was another one at the very beginning! Anyway, ever since you changed that cheery grass green background I longed to see it again (not that I didn’t love the others) but thanx for posting it, again. It just brings up some lovely/nostalgic memories, to me! Love You and the Community-so love to be here, day after day! Happiest of birthdays to YLF. Just like a long friendship, one celebrates with both joy and gratitude. Angie, Greg and Inge: many thanks for quality, evolving content and format, as well as your warm, inclusive tone and community building. YLF in review brings back memories, including trying to convince myself that I would be able shift gears with you to a food focused blog one spring day, before I had coffee. My biggest YLF regret: that an injury prevented me from joining the 2014 meet up. Following so many style evolutions and having the chance to share fashion passion is a gift. It is a place to play and learn; we didn’t have to give that up in pre-school after all. Going forward, I wish the YLF team much happiness and all the best. May the next decade be all you want it to be. I will always appreciate the YLF difference in my life. Behind my computer screen is the apple green wall of my office space. When I first found YLF, oh about 9 and a half years ago, the matching green background gave me my first hint that I might have found the right place. I had no idea how the blog and then the forum would later blossom into such an important part of my life, steer me through my 40s and lead me on adventures to London and Seattle to meet Angie, Greg, Inge and other wonderful fabbers – and the great pleasure of meeting Suz in Tel Aviv. Congratulations and also thank you so much for a truly fabulous 10 years – here’s to another decade! Congratulations Angie, Greg, Inge & Sam and Happy birthday to all. I am happy that I am here in such a warm community. Happy big 10th birthday YLF! Angie and Greg, thank you so much for everything you do her and for making this fabulous online refuge. I have been with YLF for about 9 years – I have found it some time before the forum begin. I have witnessed most of the moments mentioned in the text and was lucky to be a part of some of them, such as the Valentino bag and 8th birthday in Boston. I fondly remember organizing the first YLf meeting outside of Seattle in Boston in 2008 (?) and meeting Angie and Greg for the first time. I have meet so many great women through this site and it has been with me in my darkest moments. Here is to another 10 even more fabulous years! My YLF profile tells me that it has been 7 years and 5 months since I joined. Wow, time flies by! YLF has been a source of style inspiration and joy in my life even when I haven’t been able to drop in regularly in the last two years. Thank you very much Greg and Angie for all your hard work! I feel very lucky to have met you in person (more than once!) and I hope I get to give you another hug in the future. Many happy returns YLF and here is to many more style-filled years!!! Congratulations!!! I found YLF about 2 months ago and am in absolute heaven. I feel like I found the best chocolate box ever, and I know good chocolate having traveled to Bern, Zurich, and Brussels in the past couple of years. The breadth and depth of topics is unbelievable and the community is so wonderful!. You have truly found a magical combination of fashion advice and community. I only wonder how my stars could have been so misaligned that I didn’t find it earlier :-). The joy and effort you and Greg put into this is so clear and makes such a difference. Kudos to Greg for a well designed site and keeping it very stable….they are not easy things to do well. As others have said, I can’ wait to check in every day, and still have a lot of older posts to read and re-read. Congratulations on 10 wonderful years already! Congratulations, Angie and Greg! I think this might be my all-time favorite blog posting. Since I didn’t discover YLF until 2011, I really loved learning the history of YLF. Here’s to 10+ more years! Happy birthday YLF! Congratulations, Angie and Greg. Soon YLF will be in it’s teen years. You are a big part of my life and have made a huge difference to my style and fun. I start each day with you. Here’s to many more years. Thank you so much for this amazing blog. Happy 10th Birthday, YLF!! Many, many congratulations on your achievement! I got all emotional reading your post today; I loved learning more about YLF’s history, seeing photos of the creative geniuses in action, and seeing photos capturing some of the camaraderie that is the forum. YLF is a wonderful, supportive place centered around a topic that can be anxiety provoking. Your work here is SUCH a gift. The site itself is so beautifully made that even the more advanced features are perfectly intuitive. Best wishes for the next 10 years. Thank you Angie, Greg and Inge. I rarely comment or post but YLF is probably my favorite space on the internet – excellent content and a real sense of community. I’ve learned so much. You have definitely made a difference in my corner of the world. … and, as Lyn67 said, thank you for keeping the site public for those of us who are not able to contribute financially. Happy, Happy 10th b’day to YLF!! What an amazing achievement!! Hope you are basking in the love you have engendered!! Big hugs and much love to you, Greg, Inge, Sam and Rosie and Jasmine in heaven!! It’s important to look back to see how far you’ve come!! Congrats on this awesome milestone!! Reading through this post has made me quite emotional. This is a wonderful, truly unique place on the web. Besides superstars Angie, Greg, Inge and Sam, the women on here are so kind, thoughtful, super-smart and educated, compassionate, supportive and of course all of us on the same path, enriched by each others’ similarities and differences. Without the extreme dedication of Angie and Greg, this site would not exist, but without these other people, it would not be the same. I myself stumbled upon this blog almost exactly five years ago, and immediately felt its comfortable, friendly embrace. My attempts at finding my own style have not been linear; in general, that’s how I roll. But even when I’ve taken breaks from posting, and (gasp!) shopping, I’ve always had the community close at heart. It’s such a precious resource, and always made me feel better to know I could hop back on at any time. Style and clothes are so much fun, yet can often be intertwined with frustration–thorny issues around the body, money, even the glut of choices out there creating indecision and overwhelm. Angie’s stepping up to provide guidance and encouragement is so priceless. I can’t thank her and her team enough! Just a huge hug for the next time we meet–which will hopefully be soon! Happy birthday, YLF. May you rock on for decades to come! Wow, what a milestone, and what a tribute! Happy birthday, YLF! I’ve only been on board for about half the time you’ve been in existence, but I knew as soon as I stumbled upon it, that I’d found something unique and special. I’m honored to have been a part of the journey and the celebration in some small way. How fun is that video! Nice to see familiar faces — some who still post, and some who have moved on. Such a fun trip down memory lane. And I never knew that the red Valentino was a YLF member gift — wow! How generous and special! That makes that already amazing bag even more beautiful. Absolutely, Greg’s behind-the-scenes talents and efforts deserve special appreciation. Thank you for including the link to his non-YLF photography work — I’d never seen that before, and I have it bookmarked to check out in depth. Even from a quick glance, as a fellow photographer I am impressed and intrigued to see more. Angie, this post brings tears to my eyes for so many reasons. First, remembering that wonderful Boston meet-up. What a thrill it was to meet you and so many Fabbers in person for a birthday celebration! I also felt that tear when you mentioned your mother, though. My own mother’s birthday would be on the 7th. I remember returning from that Boston meetup to celebrate with her. This year there will be no such celebration. But I know she would have approved my love of YLF and if her eyesight had been up to it, she’d have been a happy nonagenarian member. Congratulations to you, Greg, Inge, and Sam for a fantastic website — clean, beautiful, helpful, and so so SO much fun! This blog and forum lightened some very tough years for me and have helped me feel so much more confident with clothes. I may not (quite) be my own fashion stylist, but I feel as if with your assistance, I am almost there. What a wonderful gift you give to women around the world, every single day. Angie and Greg, Happy YLF Birthday! The real gift has been to the community – thank you SO MUCH for being a daily part of our lives! Congratulations on your ten year milestone! YLF has been my M-F morning ritual, with coffee, for just over 1 year. Thank you for this outstanding and heartfelt recap! Happy Birthday YLF, my favorite online home!! Thanks Angie and Greg for making it so! Angie: It’s hard to believe it’s been 10 years. I haven’t been on the forum that long, but I can say I have benefited from it greatly and very much appreciate the time, effort and expertise that goes into each and every one of your posts. Greg: Thanks so very much for all the hard work you do behind the scenes to make this site such a phenomenal success. Wow. What a beautiful story. Congratulations and happy 10th birthday YLF! Many congratulations on this special anniversary! And many thanks for all that you do and all that YLF is!! Happy birthday, YLF! I can’t believe it’s been 10 years. This post made me smile – I remember so many of these moments. I think the Valentino bag happened right around when I discovered the site, and the 5th anniversary video around when I was starting to become active on the forum, and both made me think that maybe I had found my home on the Internet. If you had told me five years ago that I would have real life meetups and friendships based on our shared participation in an online fashion forum, or that I would go to ylf’s 8th birthday party, I would probably have laughed at you. I’ve gotten that and so much more, as it turns out. Thank you, Angie, Greg, and Inge for all that you do, and here’s to 10 more fab years! I signed up 4 years and 11 months ago, Angie! And, even though my closet needs a good tidy at the moment, I find getting dressed and putting myself out there every day a lot easier because of you! So many blogs are based upon creating a “fashiony” image, but YLF is about style for everyone, of any age, size or budget. I felt at home immediately. First I learned how to adapt trends to my real life, then to be the boss of my clothes — better fits and proportions. Next it was on to creating a closet that works like a well-tuned orchestra, with all of the parts covered. Now? I’m learning how to maintain this smooth functioning base while exploring more of a signature style. Through all these legs of my journey, you, Greg and the marvelous forum have provided my fashion curriculum and style lab, with an extra blessing of warmth and laughter! 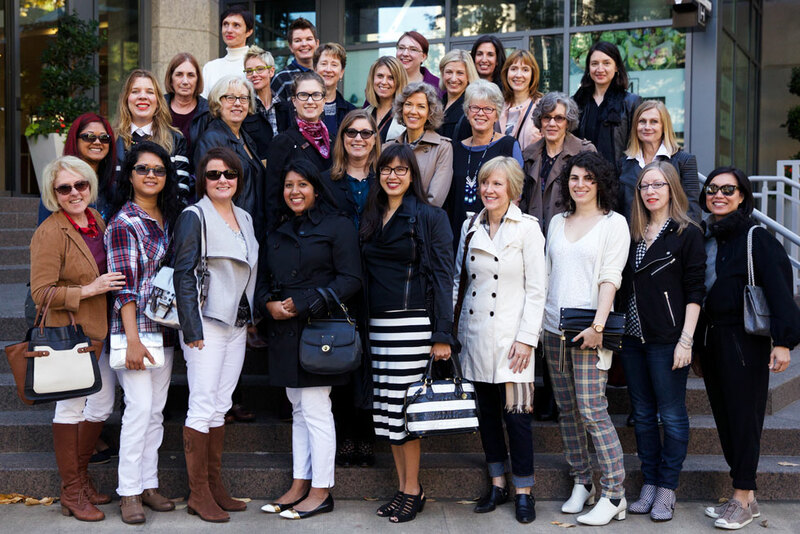 Congratulations on a decade of helping women around the world look and feel good! Posting every non-holiday weekday for ten years is an incredible achievement and labor of love. YLF is my favorite blog by a long way. Thanks to you, Angie, and the entire YLF team; I hope you do something fab today to celebrate! What a lovely story! And Happy Birthday to YLF. Thank you to both Angie and Greg for all that you do. 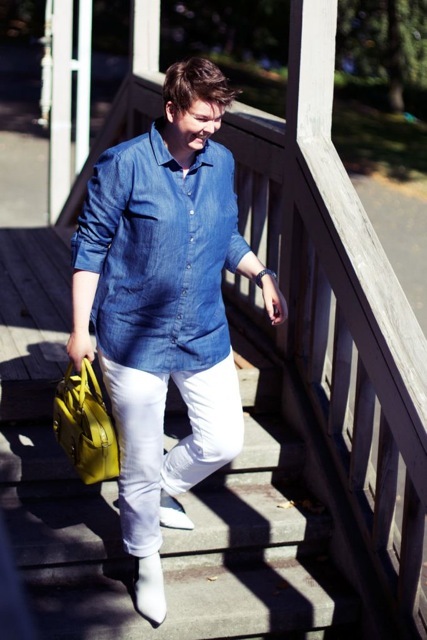 YLF has been tremendously helpful to me in developing my personal style. ps…..LOVE Jasmine’s photo bomb. What a sweetheart. Congratulations, Angie and Greg–and thank you. Congratulations! I enjoy reading YLF each day. Angie, I know that you and the others here have helped keep me out of frumpy territory. Thank you! Congratulations! A lot to be proud of and so great that this has been a journey shared with Greg! I just discovered this blog, literally two weeks ago, and already love it and have used some of the posts for inspiration. It is so fun to find people with an interest in fashion similar to mine. I have been trying to figure out my personal style and YLF will give me some great ways of doing that. And the site and photography are beautiful! Here’s to another 10 years! Congratulations Angie, Greg, Inge, Sam and little angels in heaven Jasmine & Rosie! You’re the best and most stylish family in the whole wide world and you’ve managed to make us all feel a part of it. I met Angie and YLF 5 years ago, and it has been one of the best things that have ever happened to me. I start my day by reading the blog and it gets me in the right mood to get things going. Thank you guys for being present in our lives every day. You make us all very happy. Happy Birthday YLF!! What a wonderful community that has been a big part of my online life for years. According to my profile I signed up 5 yrs and 4 months ago but I know I read blog post for 2-3 years before that. I have really enjoyed the challenge to my personal style, watching and learning from other’s style and just feeling the warmth that comes from the community. I can’t believe I’ve never been to a YLF gathering but I’m determined to get over to Seattle for one soon as I am other 3 hours away! How wonderful to read through the journey! Congratulations, Angie, Greg, and Inge on what you have built! With only 2.6 years under my belt here, I feel like a newbie compared to some of the forum members! But it’s always a wonderful, happy place to visit. Thank you. This retrospective was amazing. Congratulations to you and Greg (and Inge!). It’s a huge accomplishment to keep a blog going for any length of time, and to not miss a posting day in ten years speaks to your love, commitment, and work ethic. My mornings wouldn’t be the same without you. I’m at a loss for words this morning. I’ve just emerged from a trip through the YLF archives , videos, linked articles and other fun things, and it feels like looking through a family photo album – one that I’m a part of. As a relative late-comer to this forum – coming up to 2 years – I feel somewhat like the straggly little sister coming in with dirt on her face to say ” Happy Birthday ” , grabbing a piece of cake and running back outside to play. It’s funny, reading your post this morning Angie reminded me that I’m lucky to have found this place . I’m not always a touchy-feely, let’s-get-close type of person, and can get into my own head and disconnected from other people fairly easily. But ever single time I’ve slammed my bedroom door and announced I was done with you all (figuratively speaking as the little sister again) , I have been welcomed back with open arms. It’s truly remarkable . Anyways, as I have told you many times before, I am in utter awe of the business and community you and Greg have created here, Angie. In the world we live in, with so much noise and junk here on the internet, you have polished a true gem that stands out from all of the others. In 2 years, there has not been a day where I can been online here – and not just once a day either. We don’t all have the same tastes and ideas, but somehow it all works together really well. I don’t know how you did it, but you did. Congratulations to two of the most interesting people I have yet to meet! A BIG Congratulations to you all for creating a wonderful, inspiring and fun community! What a lovely walk down memory lane this morning! Happy 10th anniversary, Angie, Greg and Inge! Here’s to the next 10 and hopefully, many many more wonderful years! Ack – so many typos in my post,. …”there has not been a day where I haven’t been on line here…..” among several others, sorry..
I’ve been a member for only 10 months and 2 weeks. I wish I had found this blog earlier but am glad I finally did. Your articles and visuals are really helping me to find my style. I don’t know of any other blog with such useful information, support, and community. I have been looking through my personal photos from the past two years, and the change is amazing. I should do a before and after post. Thank you Angie, Greg, and Inge for everything you do to make YLF so fantastic and fun. Happy birthday, YLF. YLF continues to be the kindest and brightest forum and I’m so grateful for it and for all the loving work from Angie, Greg, and Inge that goes into creating and maintaining this space. Really amazing! What a wonderful 10 years and a beautiful recap. I remember the Valentino “project.” What a fond memory! It also reminds me of when my mom was very ill and a group of forum members got together to gift me a wonderful gift to lift my spirits. Just goes to show what a uniquely loving and tight-knit group this really is. I feel fortunate to have seen the growth of YLF throughout the years. Happy Anniversary!!! Reading YLF is always the best part of my morning…a great way to start the day! I so appreciate you, Angie! And you probably know I’m always amazed and inspired at your insights and especially your ability to break down and analyze a fashion topic! Here’s to 10 more years! Wonder what we’ll be wearing then! Ten years,wow! That’s such an achievement, especially in the blogosphere. And never missing a daily post…that’s an incredible commitment. I discovered YLF via the Seattle Times piece, and my daily life is much richer as a result. 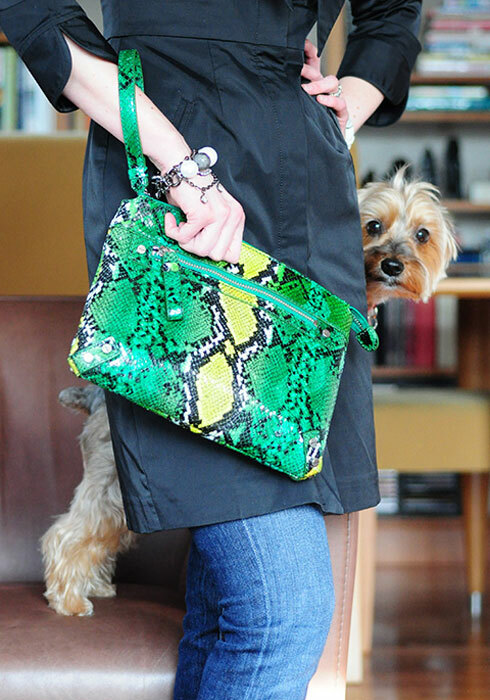 Style, kindness and doggies…what a wonderful mix! This post makes me so happy! I remember the 5th anniversary video, and it seems like yesterday! And the Seattle Shoptember Ingefest!! And so many, many wonderful memories over the years! Angie and Greg and Inge, you all have created a truly special corner of the internet! It’s not an exaggeration to say you and the wonderful YLF forum members have gotten me through some of my very darkest times, and now you are here to help celebrate some of my very happiest times! Long live YLF!!! I signed up just past your mid-way point (4 years 9 mos), and as otheres have stated, it’s a rare day that I don’t check in on YLF at least once. Your creation (Angie, Greg and Inge) stands head and shoulders above all other blogs out there. Know that you have made a tremendous difference in countless lives. Much love and continued success to you all! WOW, WOW, WOW. I am enormously humbled and touched. From the bottom of my heart – THANK YOU. I’m emotional all over again and have to pull myself together to work with a client! Will be back later. What a beautiful collection of memories! As someone who has only been here for a couple of years, I really enjoyed looking back at some things I missed. Here’s to another 10 years of fabness! Happy 10th birthday YLF!! This is my favorite place on the internet and has been since the day I signed up. As soon as I read the mantra “Have fun with fashion” and saw that the site’s creators loved dogs, I knew I was at a home I never wanted to leave. I absolutely had a blast at the Boston Meet-up. Even though I was meeting people for the first time, it felt like I was spending time with some dear friends. It was definitely one of the highlights of that year. Thank you Angie, Greg, and Inge, (Jasmine, Rosie, and Sam too!) for all that you have done and continue to do here. I have learned so much and am totally having fun with fashion! Well I only signed up 2 years and 7 months ago but I think I have been here slightly longer than that. So I am a newbie compared to some but I join with everyone else in saying what a fabulous site this is. Angie, Greg and Inge thanks so much for all that you do. It is very much appreciated. Thanks for creating such a lovely online community. Crying over here seeing that video again, remembering all the amazing ladies over the years. Happy 10th, Angie & Greg (and Sam). Thank you for all Fab, and may it never end! Congratulations! This really is one of the best and nicest little corners of the Internet. Thank you all for making it so great. Beautiful post, Angie. I thank you and Greg with all my heart for this wonderful place! Congratulations on your 10 year anniversary! The article above was written beautifully and did indeed bring tears to my eyes, especially in regards to your beloved Yorkies. I check your blog and receive e-mails daily even though I very rarely post anything. You have been a joy to read and follow the last couple of years that I have been doing so. 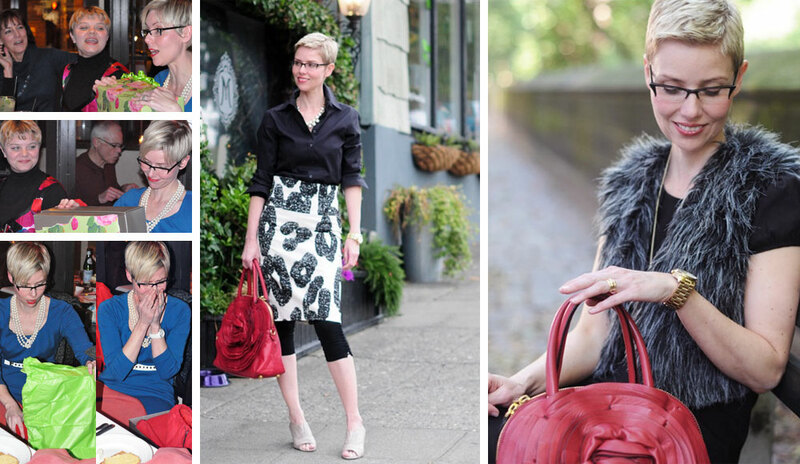 You are such a woman of coveted style and grace and the blog is beautifully done. Congratulations again!! Happy birthday! Love this post so much… YLF is a daily gift and the only place on the internet I feel truly comfortable and at home, thanks to you and Gregg. I can’t thank you enough for all you do! What a great retrospective, Angie. happy, happy birthday,YLF! Angie and Greg, you have reason to be proud and much good cause for celebration today. This site is a really fun part of my life, and I thank you for it! Congratulations on your ten year YLF anniversary Angie and Greg! Such a tremendous achievement! Wow, congratulations on ten amazing years! Thanks to you and Greg for making such a great community, and I hope it sticks around for many more years. This is going to be a favorite post – happy birthday and many, many more wonder-filled years to come! SO pleased I found “YLF” and so happy to recommend it to all my friends. Looking forward to more great years!! Congratulations on your 10 year YLF anniversary Angie and Greg. You both are doing such a great job every day. I read your blog every day with so much fun and learned so much about fashion. So I have to say thank you for all things you do for us. So, so wonderful! Happy birthday/anniversary! I remember everything except the bob haircut, so I have been reading for more years than I thought! Thanks for being there YLF through many happy and sad events, and reminding me that it’s more than just clothes. I truly feel YLF has empowered me in many ways. If I feel well-dressed, I am more equipped to deal with whatever life throws at me. You guys rock. Congrats! The time has gone far too quickly. You DO may a difference in the world, Angie. Anyone who knows you would immediately agree that you can’t help yourself. This is my very favorite post ever from you. It makes me so happy to see your website succeeding and becoming a great source of inspiration to all of us. I wish a wonderful 10 year anniversary to you, Gregg and Inge. You are doing an outstanding job. What a lovely post! You and Greg really have created and maintained a wonderful community! Congratulations on the birthday– may there be many more to come! Happy 10th birthday YLF! Angie, you and Greg and the whole YLF community are such an important part of my life and have changed it for the better in so many ways! So a heartfelt thank you from the bottom of my heart. Congrats on the 10 year milestone and let’s have fun with fashion together for decades to come! You guys rock. YLF is a monumental achievement. Thanks for creating and maintaining such a rich, unique space and being such a beacon of wisdom in an insane fashion world. I hope the corks are popping in Seattle right now. Congratulations and many happy returns! The Big 1-0!!! I didn’t know the red handbag was a YLF moment. Love that Ornella put together a video. Love seeing Greg in action. Moved to see so many Fabbers at so many YLF gatherings over the years, the pics of your mum (I know she’s YLF’s guardian angel and yours, Angie), and Rosie, Jasmine, and Sam leading the fashion pack. YLF is so tremendous – THE best, the ONLY place on the web to be! Hooray! Ten amazing years! Thank you so much for all of this, Angie and Greg. Great retrospective! Thanks for everything you do…and Greg…and Inge. I was so upset, when 1 month after discovering this wonderful place, you posted that YLF was going to become a food blog! Having fun with fashion! Lol! Congratualtions on achieving this milestone. FABulous post! I missed out on some of these events in the history and it’s so fun to read about it. Best wishes for another 10, and more! Wonderful walk down memory lane! Happy 10th Birthday Angie and Greg, I am a better person because of you. Not to mention — I have a great wardrobe now! Happy 10th! And many, many more. Since I’ve been around for just one year; by reading this post I get to see both the history and past significant moments. I love feeling supported in this journey, learning from both the posts and the community. And it is fun, Angie, to follow you around the globe. Congratulations to the YLF team, you consistently bring intelligent fashion content with huge heart, you’re my port in a stormy sea, my entertainment on an idle day and a huge source of inspiration. Congratulations Angie and Greg and Inge! You’ve done a remarkable thing. I hope to make another YLF meetup this year, they are so much fun. Congrats from one of your first fans! You did it Angie!! What an amazing milestone! Sending hugs!! Echoing the many expressions of thanks to Angie, Greg, Inge, and all the YLF forum members who have created this supportive environment within an industry that is not always particularly kind to women. Van harte gefeliciteerd met je verjaardag, YLF! Happy birthday YLF! I’ve cycled through many style blogs over the years, but this one has consistently been one of my favorites. Looking forward to many more years of having fun with style! Happy 10th Birthday YLF! You certainly are making a difference in the world! This was such a lovely post and it was amazing to go on this trip down memory lane with you! I look forward to clicking on some more of the links. Here’s to many many more happy years together with you all! Happy Birthday YLF! Congratulations Angie, Greg and Inge (and Sam!). May the next ten bring just as much joy and adventure and fun with fashion! Congratulations on your 10th year YLF. Angie and Greg, you rock! YLF has been a daily company and what a wonderful company it is. Congratulations to all that make it possible, Angie , Greg, Inge and Sam. Wishing you many more years to come. Always interesting, interestingly edgy and out of box, and encouraging as we each try new styles, learn from each other and expose our uncertainties and delights. I may not comment tons but I apply the advice in so many of the posts and Greg is an absolute keeper. keep shining, Angie. It’s been one of those days–I couldn’t even read this blog post in one sitting, but I wanted to say HAPPY BIRTHDAY, YLF!!!!!!!! It is a beautiful work that you all do to make this site and forum happen. It’s obviously a very talented team at work. You created a jewel on the internet. I so admire your discipline and dedication in your regular posting schedule. I love that I always know when there will be a new post to check. However, you do deserve a real holiday! We would all understand a scheduled absence. All the best to Angie, Greg, Inge, and Yorkies everywhere! You are an inspiration to me. Happy 10th Birthday!! I don’t know what I’d do without my daily YLF-fix! Cheers to another 10 years! THANK YOU all SOOO MUCH. I am quite overwhelmed with emotion today. Many happy tears. Without YLF my wardrobe would be a mess! Welcoming to everyone, inclusive, insightful, innovative. Trends, tips, how to advice. Gatherings, celebrations and clothing swaps. Here’s to another 10 years of fashion, fun, fabulous outfits, fantastic members and festivity! Many, many happy returns YLF!! I read every day and have enjoyed every post these (almost) 5 years. I attended a Toronto meet-up too. I am not comfortable posting WIW but I get a huge kick out of everyone, their clothes, their life stories that just roll into the posts and it is lovely to have a happy, kind, wise and fashionable place to read on the Internet. Thank you for all your hard work, Angie, Greg and Inge for building it. What a lovely post! YLF is a great achievement for which you are justifiably proud. It is so interesting reading about how it has developed over time. Congratulations to you, Greg and your lovely doggy family, and also to Inge. And here’s to the next 10! Congratulations! YLG has been a lifeline for me through a very rough time and I truly cannot express how grateful I am that you started this wonderful community. Happy Anniversary Angie and Greg! Congratulations and my deepest gratitude for the beauty and light you bring to the world. You are SO GOOD! Congratulations! I look forward to reading the blog everyday. Thank you. Congratulations YLF, wishing you at least another 10 years of success! 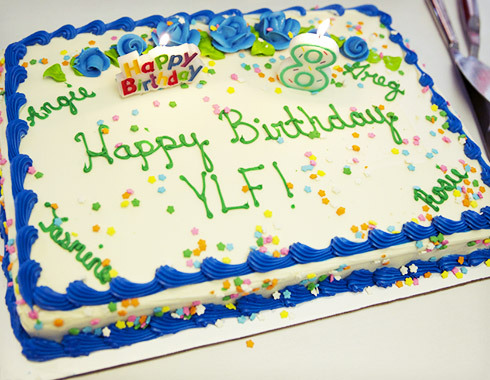 Happy birthday YLF, and congratulations Angie, Inge, and Greg. Your blog is a real wealth of information, and the forum has been a fun and warm place to hang out. Crikey! I feel old. But honestly this is truly a special corner of the Internet. The best part of it is meeting the other members in person. I know I’m far from perfect, but when things go to **** they are an amazing group to back you up. I’ve personally expanded my friend circle from here, greatly. And the most touching moment, when at the gigantic Ingefest meet up, you asked me to lead part of the group to different shopping destinations. It was a wow moment. Happy Birthday to YLF! As I have said many times before I came here looking for a dress and found so much. Angie you are an angel in my life. You share share your talents with us freely. My shopping horizons have been broaden and I am no longer afraid to take creative risks. I am proud to call you my friend and I am so grateful for you every day. My time in Seattle at Inge fest is very special to me and would not have been possible without this forum. Greg you are one of the best photographers I have ever seen. You have the eye for composition color and location. When you photograph Angie’s outfits I am always impressed by the locations. They always tie into the outfit somehow. You have a gift and I am so grateful you share it with us. Here is to ten more wonderful years. I know I will be here everyday to see what you have in store for us. 10 years is a wonderful milestone! Never missing a weekday and adding an occasional Saturday post all these years is quite a feat! Such a testament to the dedication of the YLF team! I started reading fashion blogs at the beginning of 2009. Academichic had YLon their blog roll and from the first YLF post I read, I was hooked! I loved that it wasn’t author centered. 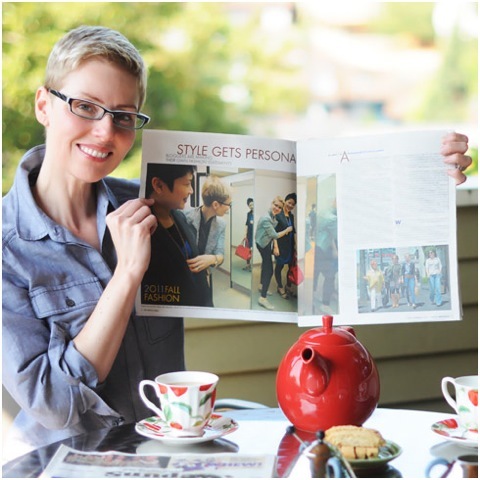 Angie gives great style advice that magically appeals to women no matter where they are in their style journeys. Once Angie started showing pics of herself, I was even more intrigued by her. It took me several months before I lurked into the forum. Expecting to be disappointed by rude comments, I was pleasantly surprised day after day by the friendly and supportive network of women helping each other discover and celebrate our expression of ourselves through clothing. PLUS, the fact that Angie takes time daily to comment in the forum, still blows me away! Each new feature to YLF over the years has always been something exciting! Greg and Angie definitely pay attention to how members can utilize this site to make the most of all their wardrobe needs. 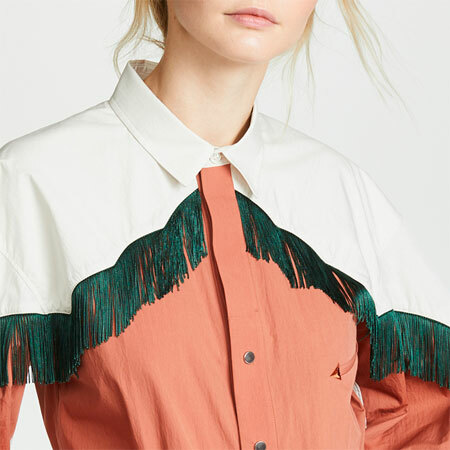 From making it easy to show each other our WIWs to sharing shopping finds, and even cataloguing our own wardrobes…YLF is a fashion and style site like no other. Thank you Greg for seeing that Angie’s talent and fashion voice needed to be broadcast to the world. Also for your techie devotion to making YLF so awesome! Thank you Angie for your style insights and how you exude your professionalism, respect for others, fun, and care through your blog posts and forum comments. Thank you Inge for your internet expertise in providing us links to new fashion sites to explore. Plus you are the fastest link fingers on the forum! I so enjoyed this 10 year review and was happily reminded by Angie’s blog post and all the comments why I love this place. I have decided to become a yearly subscriber and will now have an easy reminder to renew each year. Enveloping me as I read your most-beautiful post ever, to date, Angie, are smiles, tears, laughter and the warmth of sincere, solid and sustaining friendships! You write from the heart and Greg takes photos from the heart and I was, and still am, captivated by the earlier posts which I read and reread multiple times just now. Seeing the photos of Jasmine and Rosie was amazing, like seeing family. Experiencing your road trips and meet-ups, from the past, was also like seeing extended family. YOU have created a family here and I am in love with it. YLF is a unique and unbreakable family. I love Lisa Henderling’s illustration, which I’d never seen before, and you delivered on your fashion goal! Thank you for walking us through this amazing decade with you as our fashion stylist and tour guide, Angie, and thank you, Greg, for having the vision to put everything in place so creatively, professionally and stunningly. I am in awe of both of you. Congratulations from a newbie, although I read the blog with some regularity back in 2007-2008 I only recently returned and joined the forum. And now I HAVE to visit the site everyday. This site, the community that has developed here, and the heart Angie (and blood/oxygen Greg) are priceless! It has been almost 6 years now when I clicked on YLF blog link for the first time and was instantly hooked. 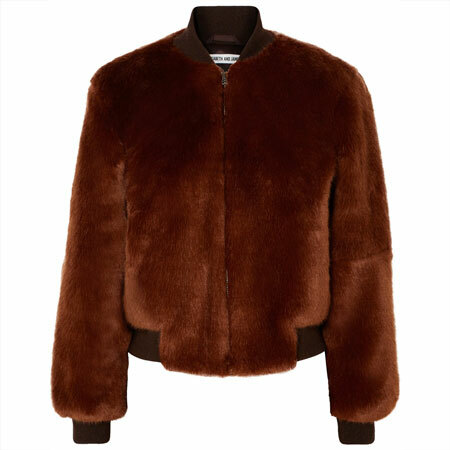 Of course this blog is a mine of fashion advice and information unlike any other site. However what attracted me the most was the community itself. After I read the forum for a couple of days I got an acute longing to belong here. It was an amazing feeling that what I read in the forum posts was conversation between friends and not mere online strangers. I did not know yet then that it was Angie’s magic at work but I could feel it and this is was really attracted me. Angie has the biggest heart of all people I know and she finds a place in it for everybody she meets – either IRL or online. Thank you so much Angie, you did make a difference in my life which goes well beyond my current ability to dress in the morning without stressing about it. I was so fortunate to take part in several YLF gatherings which are truly the best and even more fortunate to meet Angie, Greg and Inge on several occasions. I still cannot believe it really happen and I was a part of Boston YLF birthday celebration and Ingefest in Seattle. The best times ever!!! Thank you so much Angie, Greg and Inge for creating and keeping this community alive – it is really my online home. Here is to many more happy returns for YLF – and I hope maybe we can have one of those future celebrations together again? Thanks for the little write up on the important moments of YLF. I even remember some of them! You both are doing a great job, since both the blog and forum are thriving. And thanks for doing all this work for us! A sporadic visitor, but I enjoy some time reading YLF. I admire the work you and Greg do Angie and congratulate you on 10 successful years. Your blog is clearly well loved Angie and your influence runs deep. Cheers to this auspicious YLF day and to everyone who contributes to the ongoing life of your forum. As a very grateful reader from Australia, I would like to add my thanks for all the wonderful information you give us. In an uncomplicated, but very comprehensive way, you take the essence of fashion and make it understandable and wearable. The dedication of producing the blog every single day is admirable and I always look forward to reading the content. Despite the seasons being opposite, and the climate being quite different from Seattle, it is still relevant to us here. Congratulations! What a wonderful magical journey. I loved reading the story of YLF. Cheers to the YLF team! My closet and my heart thank you for this lovely place on the internet. I agree, any diagonal detail on the body (pockets, zippers, stitches, rounded or asymmetric hems etc.) is beautifully slimming down an apple torso! Love this trick and use it whenever is possible:-). 10 years?! What an amazing accomplishment, Angie and Greg. The technical components of the website are top notch. It’s visually appealing, the tools you’ve created are incredibly useful, the content is enormously helpful. But more important is the personality that you infuse the website with. It’s gracious and welcoming even while you challenge us to stretch ourselves. The tone you set germinated a seed that grew into the wonderful ylf community. That’s your greatest legacy. But your influence expands into real life regularly. There is not a day that goes by that I don’t use some tidbit from ylf when I’m getting dressed. I am so appreciative of the style evolution you helped spark. To the uninitiated it would sound strange that pulling together an outfit that makes me happy motivates me to get out the door and take on my day. You helped me figure out what I can pull together that hits that happy spot. Gosh, that sounds deceptively simple! But it sure was a process. So thank you for the ten years you’ve given us. Here’s to many more. Happy YLF Birthday, Angie & Greg!! I don’t post often but reading your blog is still a regular part of my day or week. You have empowered us to be our own stylists, indeed, and for that I am truly thankful. I, too, fall back on your wonderful advice (at least as much as I have stored in my head all the time. 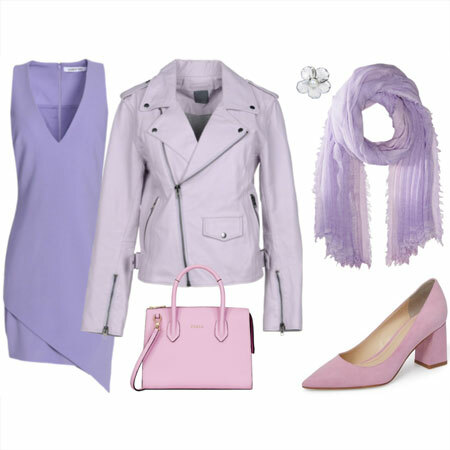 I feel comfortable throwing my outfits together, knowing I have the tools to make appropriate changes as needed. Meeting you in person was a highlight for me, and I hope we meet again. Your bright shiny personality beams right through the Internet and brightens my life on an ongoing basis. Happy Anniversary and blessings to you both. Your gracious congratulatory words made our milestone day even more memorable. THANK YOU! My first time commenting but I had to say, ‘Thank You’, to you all!! What a great post! As a fairly new reader this post helped me understand more of how and why this blog is so well done and so interesting. I was not aware of the ‘finds’ feature and reading about it was a revelation, well done, what a wonderful feature!! Thank you so much for all of your contributions to my sparse knowledge of ‘fashion sense’. I have learned so much!! Wow Angie – I tear up just going down memory lane and thinking about your journey. Thank you for sharing in your beautiful, joyful, detailed, and humble way. I am so proud of what you all have accomplished and what a difference you have made. I used to be an avid forum member but have not been on the forum for the past few years. If your impact is even a 10th of what it was on me and the other forum members back then, you have definitely changed the world to be not only more stylish but happier and better. Thank you for all you do. You make a difference. And it matters to me. I’m sorry I missed this yesterday! I so enjoyed reading your highlights of these past 10 years! In the years I have been following, you have certainly made my world a better place and have touched my heart in many ways (as has the forum, which is such a safe and special place because of you). I am so thankful for all that you do to touch this world with beauty, and many thanks to Greg for keeping it all going, and to Inge for her incredibly valuable contributions! Big, hearty congratulations, Angie and Greg and Inge! And the Yorkies too. You LIVE fab! Late to this post, but congratulations on ten years! Can’t believe it has been this long. It was fun to read this post and look at the pictures – took me back in time. YLF has been such a big part of my life the last few years! I am late to the party but didn’t want to miss this opportunity to congratulate you on this important milestone. YLF is part of my every day as so many others have said before. I truly could not imagine my life without it! Wow. What a beautiful post. Happy birthday YLF. You’ve created such an amazing community and I’m so thankful that I’ve been part of it. I’m looking forward to the next 10 years. Congrats!!! Angie and Greg, you should be receiving the thanks, not just dispensing them. The community you guys have created is one of a kind. I actually never believed such a safe, engaging, stimulating and entertaining virtual space could ever exist in a world where even a youtube comment can trigger a torrent of wretched content. To my knowledge, the negativity trend is the only one this site and forum have unequivocally rejected. I may not post or comment as often as I once did, but I still regard YLF as my internet home and think of the amazing ladies who reside here with me more often than you might think. I’m beyond proud to have been directly involved in many of the highlights posted here, and I hope to take part in many more. Happy 10th anniversary, Ylf, with lots of love from one of your resident Canucks. The celebrations continue! Thanks for the awfully kind words. This was the greatest write up but I have to say the YLf video Girls on Film was next level. Thank you against Angie,Gregg and the YLF community. I Am because We Are. Wow- 10 years is a long time and such a lot of work! I thoroughly enjoyed reading about the early years before I found YLF, especially the wonderful Video for the 5th birthday. YLF is a part of my life now and I rarely miss a day of checking-in to see all the lovely Fabbers and what they are wearing. How sweet, Cheryl. Hope to meet you too. Thanks, ladies. Your support means a lot to us. Angie and Greg, I am late to this party due to my hip surgery a week ago, but what a wonderful post and what an amazing decade. This blog is truly a labor of love on every level, because at the foundation it is a product from the union of you and Greg! I am so glad I’ve been able to tell you both in person how much YLF has changed my life and how much it means on a daily basis. By “it”, I mean YOU. My admiration for you both is inexpressible. Many people have talents for fashion or photography but few combine all of their talents with so much warmth and caring and touch so many lives. What an outreach. Angie, that was a beautiful post. Although mostly lurking now, I have loved every minute of the 10 years. That you for reminding us of the highlights and taking us through memory lane. You are truly beautiful inside and out and it clearly shows in YLF. Greg, you are a genius! Congratulations to both of you! What a wonderful post. I cannot believe that it has been 10 years. I have not been around for all of it but I certainly have been the beneficiary of this wonderful place called YLF for a while now. The wonder and magic that is YLF brings so much to my life. Thank you is the understatement of all time. Love to you both ! PS One of my greatest joys during the early years was seeing Rosie and Jasmine. They will never be forgotten. Wow … 10 years! I’ve been here since almost the beginning and while I don’t comment much anymore, I do read and your blog is one of the last few that I check in with regularly (and the only fashion blog). It was really fun to read all of your highlights, but I must say, the tribute to your marriage was the best of all. You two are very sweet together and a great example of marriage. I am late to comment too, as I have been away with work. What a lovely post celebrating 10 years, and thank you to Angie and Greg, and also Inge for creating this very happy corner of the internet. I have read YLF since 2010-ish, but was late to forums and even then, understanding the rare difference when members are enthused, engaged and supportive. I have only been on the forum a matter of months and am delighted to have found it. It only runs through lots of hard work and dedication. Happy birthday YLF! I really enjoyed reading your post and reminiscing with you on your 10 year anniversary. Congratulations! I wish I was around from the beginning but I was late to the party, as usual. I lurked for a while and then a while after that I signed up. It took a while longer before I started to join in and then last year I made my first forum post. I have to say YLF has been a tremendous help to me and I greatly appreciate all the work that you put into your site. Looking forward to many more fab years! I have been away too long. And read this history of YLF with great interest and smiling all the time. Fortunately the YLF-forum members had mailed me about the last birthday and would I participate? Of course I would. Although I come and go and am not really a member of the group because of my inconsistency, I still really like this site. And you Angie are a perfect stylist. 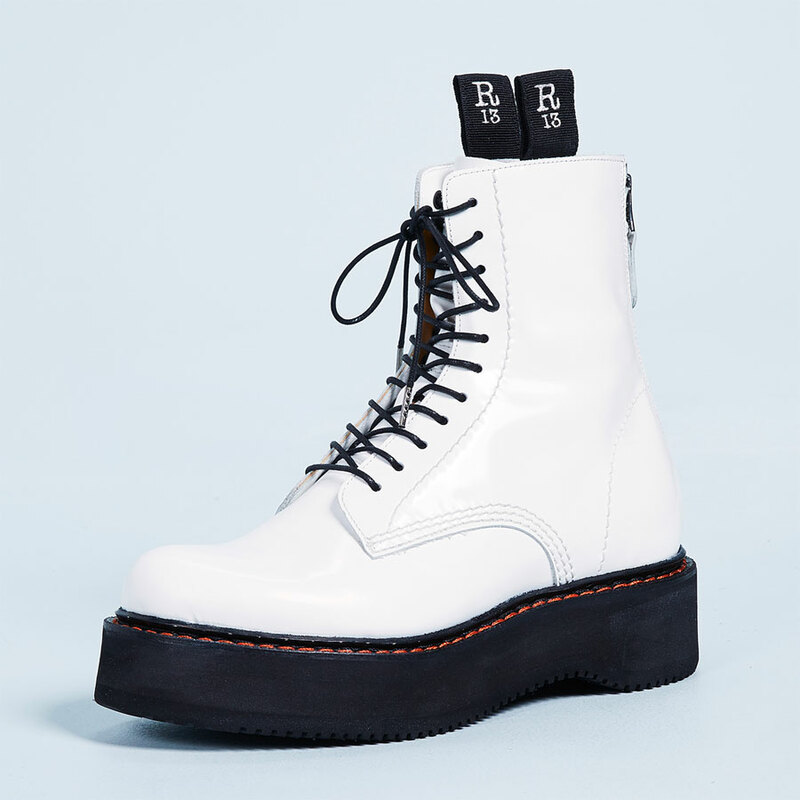 I wish I lived near you and could afford it to hire you alllll the time.